Be show ring clean and dry with these waterproof Rain Overtrousers. They are cut to fit at the top of your high boots. Zip opens completely with full length outer seam zipper. Zipper is covered with panel and VELCRO® brand closure. Made of 100% polyester. Imported. 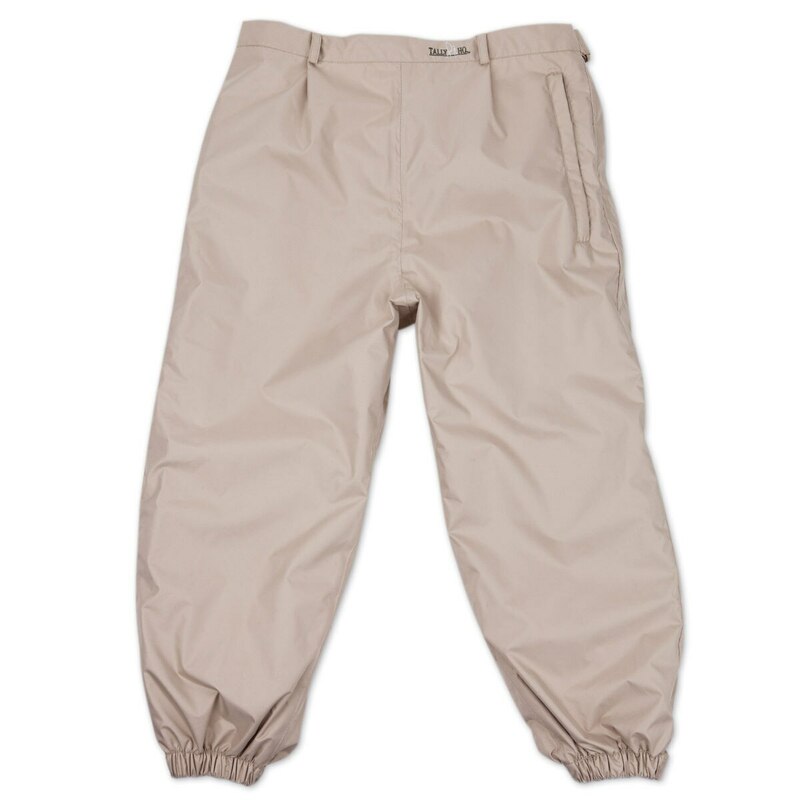 S-Waist 28-30" - Outer Seam length from the waist - 32"
M-Waist 33-36" - Outer Seam length from the waist - 32"
L-Waist 36-39" - Outer Seam length from the waist - 33"
Rain Overtrousers is rated 3.6 out of 5 by 8. Rated 4 out of 5 by Mare Mom from Worked great Not sure why, but when my daughter events it always rains. So we purchased these pants. They did the trick! Instead of being soaked to the skin, she was dry! Not the most flattering, run large, but really work! Rated 1 out of 5 by station31 from Not as pictured! Runs WAY large. I had to return these, they were entirely too large. I ordered the medium size and they could have fit two people in them (I am 5'3" , average build). I don't think the small would have been any better and they do not look as sleek and snug as they do in the photo. Rated 1 out of 5 by forwardride from These pants are HUGE & low quality. Rain was predicted for an upcoming show out in the desert, so I thought I'd get a jump on it & order these rain pants to stay dry. I am usually an XS in stuff like this, but that was not an option, so I went with S. Boy was I mistaken. I am about 5'3" and the pants went well past mid-calf on me. On top of that, they are like parachute pants. I felt like MC Hammer. My friend, who is a normal S, also ordered them and, although she didn't have the length issue, they were still parachute-y on her. We both will be returning them and bought some Grand Prix rain pants at the show (which I would suggest Smartpak carry instead of these as they were cheaper and of higher quality). 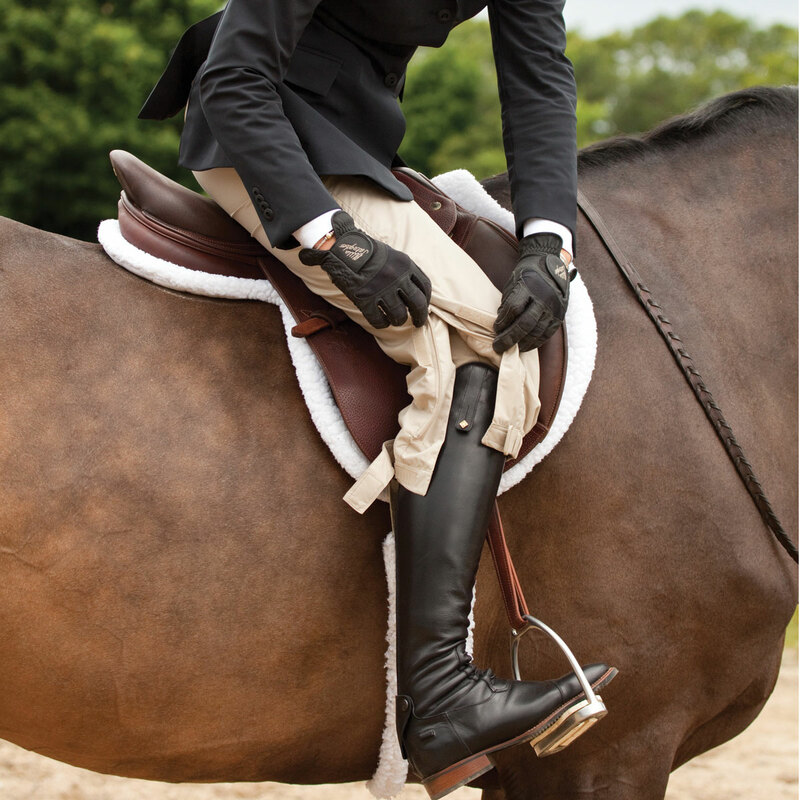 Usually I am happy with what Smartpak stocks, but these pants are a huge miss. I am just bummed I now have to pay to ship them back too. Rated 5 out of 5 by barnprincess from stay dry! After being at a horse show in rain from 8am until 5pm -- I stayed dry and comfortable in my rain pants over my show clothes. They were no problem to ride in. The material is soft not hard like other rain gear. Rated 5 out of 5 by SueT from Best Purchase Ever We purchased these rainpants and our second show of the season it rained all day! Not only did they keep my daughter both warm and dry in the rain, they even held up when I soaked her with the hose while trying to hose the mud of the horse! She took a direct hit and still stayed dry!